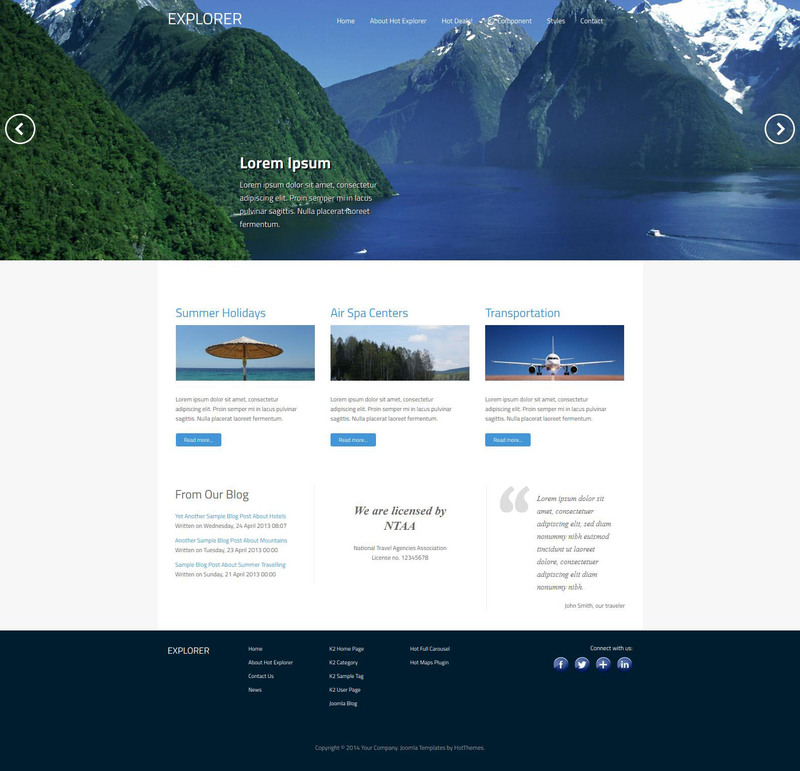 HOT Explorer - trendy template for tourist sites theme is the development team HotJoomla, has full support for the latest versions of Joomla. The assembly includes five color schemes to choose from to create a beautiful design. Template uses the latest version of Sparky Framework, which enables you to a variety of tools for easy and convenient layout settings. Adaptive functions for unused module Hot Full Carousel. Developers do not forget to include a special module assembly Google Maps, using it you can easily place a satellite image or an interactive map of any place on the planet. HOT Explorer is perfect for creating an elegant business card site travel agency.